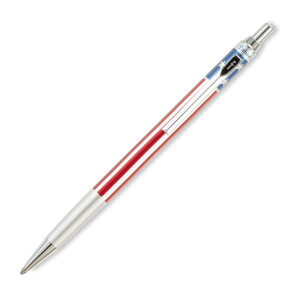 If you're looking for a subtle but stylish way to display your patriotism all year long, the American Flag Pen by Fisher is sure to fit the bill! The barrel of this all metal Space Pen is emblazoned with the good ol' Stars and Stripes design in vibrant red and blue with matte chrome shining brightly in between. 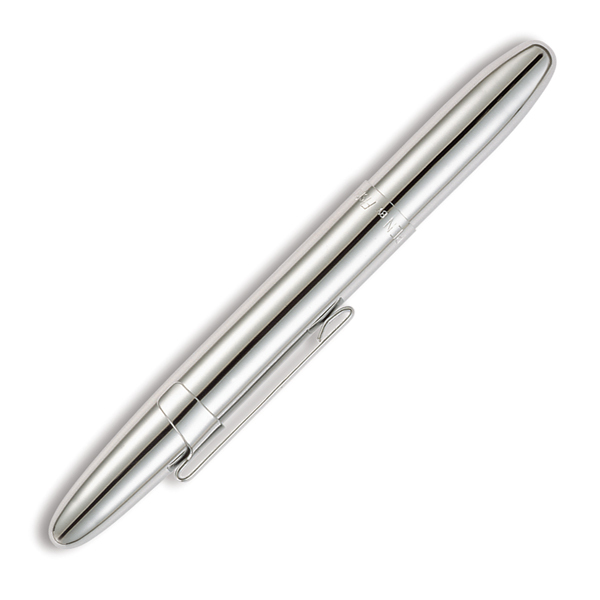 This pen looks great both peeking out of your pocket and especially in your hand as you sign your John Hancock. Each Fisher Space Pen is precision assembled and hand tested in the USA. Each carries an unconditional lifetime guarantee. The Fisher Bullet Space Pen writes at any angle upside down underwater and in harsh temperature conditions (hot and cold). When closed this pen slightly resembles a long bullet and it is this design that has been exhibited for a number of years by New York's Museum of Modern Art as an outstanding example of contemporary industrial design. Each Fisher Bullet Space pen comes in an attractive gift box with a small pamphlet that provides the interesting history of the Fisher Space Pen. Open the Bullet measures 5.3 inches with a closed length of 3.7 inches. All the Fisher Bullet Space Pen Series contains a PR4 Black Ink Medium Point Refill. 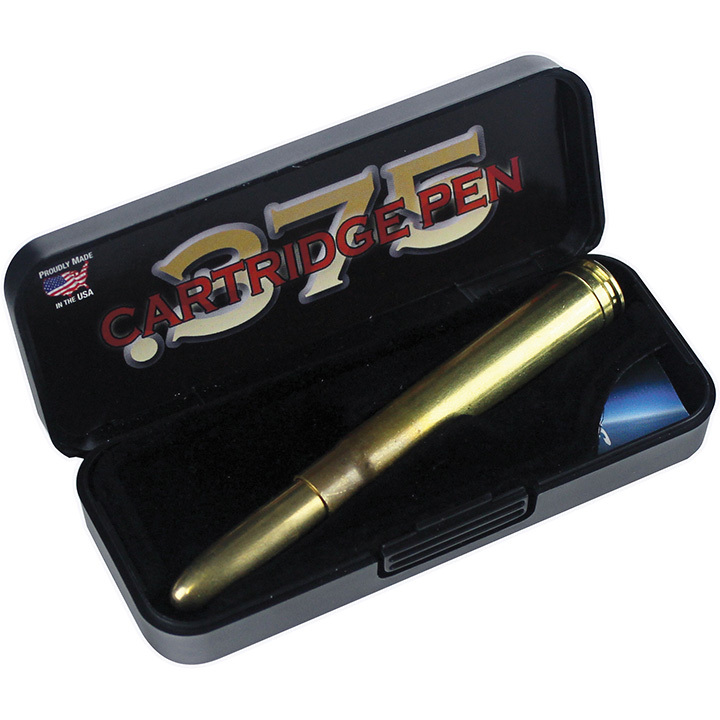 The New .375 H&H Magnum Shell Bullet Pen. When closed this pen slightly resembles a long bullet and it is this design that has been exhibited for a number of years by New York's Museum of Modern Art as an outstanding example of contemporary industrial design. 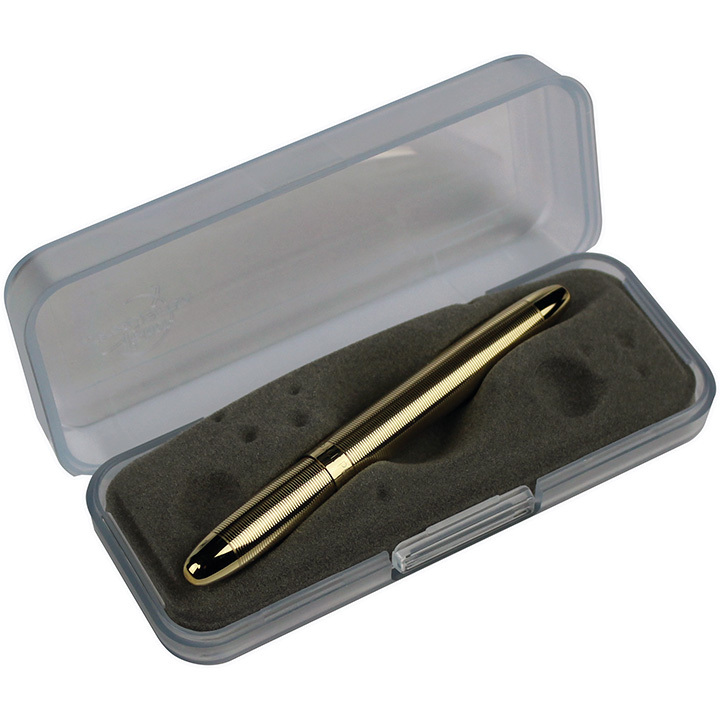 Each Fisher Bullet Space pen comes in an attractive gift box with a small pamphlet that provides the interesting history of the Fisher Space Pen. Open the Bullet measures 5.3 inches with a closed length of 3.7 inches. All the Fisher Bullet Space Pen Series contains a PR4 Black Ink Medium Point Refill.